Photo posted December 10, 2015 in CommMedia in Cuba by College of Communications. 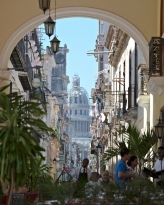 Story posted January 5, 2015 in CommMedia in Cuba by Noelle Mateer. Newscast posted June 3, 2014 in CommMedia in Cuba by ComMedia. Story posted May 28, 2014 in CommMedia in Cuba by Dan Norton. Story posted May 15, 2014 in CommMedia in Cuba by Liz Dennerlein. Black or white people can say ‘In Cuba, we have no problem of race, it’s not real.’ But we have a problem. Story posted May 15, 2014 in CommMedia in Cuba by Stephen Pianovich. Story posted May 14, 2014 in CommMedia in Cuba by International Reporting. Video posted May 14, 2014 in CommMedia in Cuba by International Reporting. Story posted May 14, 2014 in CommMedia in Cuba by Caroline Goggin. Story posted May 14, 2014 in CommMedia in Cuba by Willie Jungels. Story posted May 13, 2014 in CommMedia in Cuba by Leah Polakoff. Video posted May 9, 2014 in CommMedia in Cuba by Maria Bryant. Video posted May 9, 2014 in CommMedia in Cuba by Jessica Paholsky. Video posted May 9, 2014 in CommMedia in Cuba by Kelly Tunney. Story posted March 9, 2014 in CommMedia in Cuba by Comm 402.